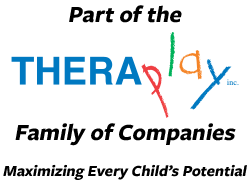 A pediatric speech language pathologist at CTC is responsible for providing holistic therapeutic services to children ages birth to 18, works with PT and OT to provide a team approach, performs standardized assessment tests, develops a comprehensive treatment plan, documents effectively using electronic medical record, provides parent education, and has a passion for working with children. The speech therapist must demonstrate experience with the pediatric population, have a graduate degree in Speech Language Pathology, hold the Certificate of Clinical Competence (CCC) through ASHA, and possess a current Virginia license to practice as a speech language pathologist. If you are interested in a volunteer experience at The Children's Therapy Center, contact the coordinator at the center you are interested in below! Openings for full and part-time therapists in our Springfield, Sterling and Gainesville centers!